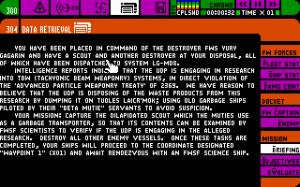 This is the original release of Battlecruiser 3000AD. 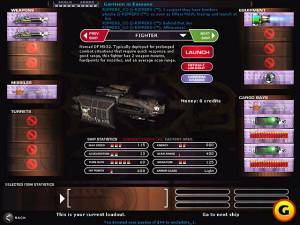 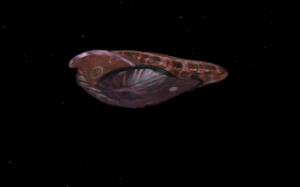 An updated version was released in 1998 as Battlecruiser 3000AD v2.0. 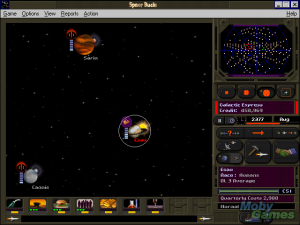 In this space simulation game, the player takes the role of a Galactic Command officer and has command over a giant space ship, a Battlecruiser, and can control everything that happens on this ship. 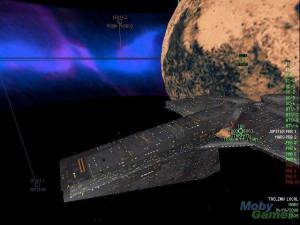 The year is 3000AD and Gammulan Empire is on its way to conquer the galaxy. 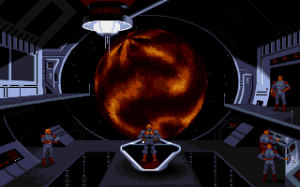 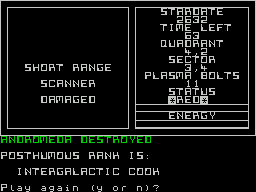 This isn't seen lightly by the Galcom who sends out their best commander (the player) to stop the threatening empire.